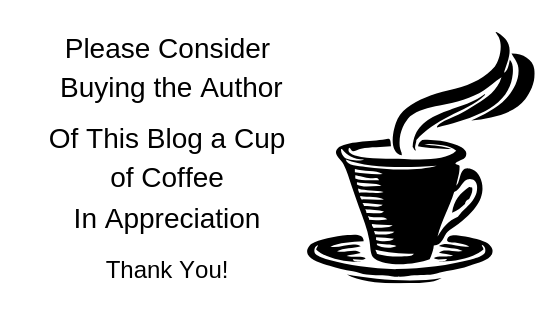 Today’s guest post is written by Maria-Christina or otherwise known throughout Blogland as MC. Maria-Christina is a writer, a journalist and also a translator. I asked her if she could write something about being a translator, as I have great respect for anyone who can communicate in several languages. Please make welcome MC, while she talks about what it’s like to be a writer with more than one language going through your mind. Writers are weird creatures. Writers who moonlight as translators are even worse. Because their minds don’t operate in just one language. There is a whole tower of Babel being constructed daily in the chaos that constitutes their head. And when a lightning rod strikes and they get angry, you just don’t want to be on the other end of their multilingual fire! We all have days when we just don’t want to get out of bed. Or out of the house. Or even see or speak to anyone. It is days like that when writers just sit and…well, write. When you can’t express in spoken words what it is you feel, you can just pour them out on paper. And it comes so easily. Sitting in silence and just typing, letting your sadness and your reflections flow into words on virtual paper. Writers – and translators – are weird creatures. But they are people who use their talent to mine their way through reality. It is the very thing that drives them pleasantly insane that at the very same time keeps them sane. A paradox, it is true. But can you imagine what it would be like if you had no outlet to express all the emotions you accumulate and compress inside of you? It would be like nurturing a volcano that is just bursting to erupt. And if you haven’t heard anyone swearing at you in more than one language simultaneously, all in a mumbo jumbo of anger or discretely camouflaged rage of words, then you have not experienced the true wrath that is the torture of every writer and translator out there! MC also writes great short stories, you can find her….here. Thanks MC for guest posting! I appreciate it. That last line so true. Multilingual thinkers know the wonder and obsession of word meanings and nuances. Probably so, how could they not? I’ve always wanted to learn another language, but most times have hard enough times with English. 😉 Thanks for dropping in! I have an African friend who speaks 5 languages so when he returns to Africa he can be a translator. I admire that. I can’t learn to speak another laguage. I studied Spanish for 3 years and can’t say a complete sentence. I’m the same Kim, I studied French and Spanish and German and can’t say a darn thing. Kudos to your friend! Finding that right word in one language is hard, having more languages to find the right word would sent me back into therapy. :)) I always wanted to be proficient in multiple languages. Just too lazy to do all that work and it is work. Writing in multiple languages is no easy task either. I’ll have to pop over and check out her site. I smiled. I can relate to this post although I’m not a translator. I have three “active” languages in my head all the time…and that makes me obsessed to find the exactly right word to describe the meaning, innuendos or nuances of something in the language I’m writing in. Oh my. Great post!